Posted: Sunday, November 27, 2016. 9:03 am CST. 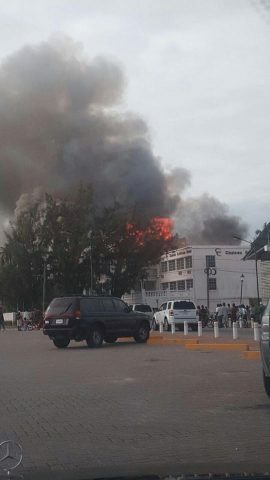 By BBN Staff: Reports reaching BBN newsroom is that Chateau Caribbean Hotel in Belize City is on fire. According to reports, the fire has spread to the second floor of the building and fire fighters have been deployed to the scene to extinguish the fire. We will have more on this story as more details is made available to us.